Download link for the roundels. Click on image for larger version. These roundels are 19.4mm in diameter meaning you will have a 0.4mm cutting margin. For people that need the Pacific roundel or the Italian roundel as shipped with the game I’ve added these designs as well. After working on my Global 1940 map cleanup and my Anniversary map file it’s time to continue my customizations: Custom roundels and tokens! 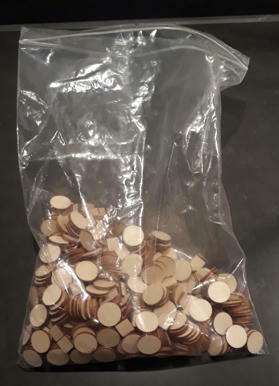 I never really liked the cardboard tokens that come with them game. 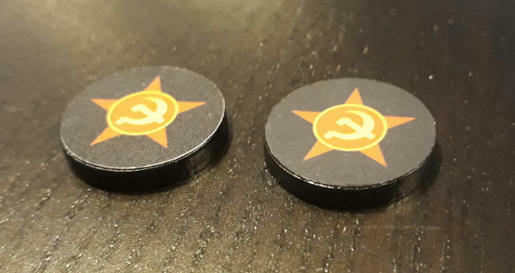 Not because of the designs off the tokens, but rather the lack of weight and how easy you can pick them up from the board. I will create custom roundels and custom naval and air bases. 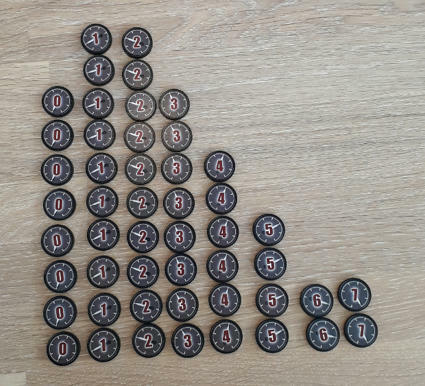 And while I’m at it I can also work on custom movement tokens for airplanes and custom research / technology tokens. 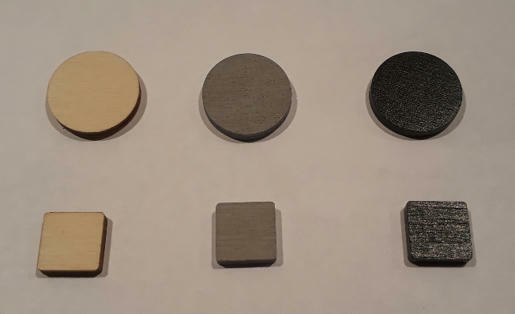 To start this off I’ve ordered a laser cutting company to cut me 19mm (or 3/4 inch for those that go with the weird imperial units :-P) discs and 12mm squares out of 3mm plywood. 550 discs and 115 squares to be more precise. More then enough to beef up my Global 1940 set (or any ww2 edition) as well as my 1914 set and some custom tokens as mentioned earlier. 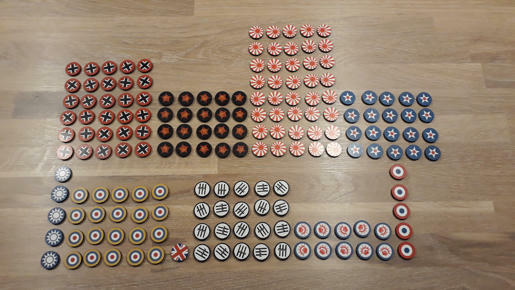 Next stage is painting the wooden tokens. Fist one layer of primer followed by two layers of black paint. With a soft sanding before putting on each subsequent layer of paint. Roughly 40 discs and 10 squares done in the first batch so plenty more to do. 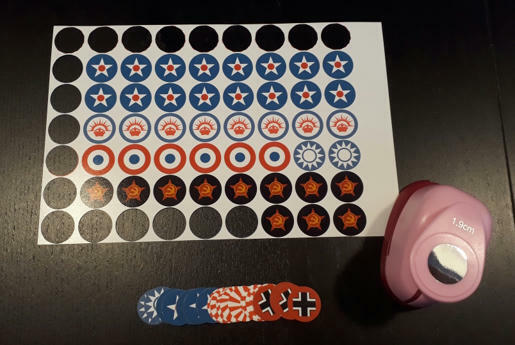 Unfortunately my printer broke down the moment I wanted to print my first set of roundels to glue on top of the roughly 40 black discs I’ve painted so far. So it might take a few days for the new one to come in and for me to show some more progress. As a teaser for what it will look like when finished, I’ve done a few prototypes a few months back. Each disc is finished with a home made print on high quality photo paper that’s glued on the disc. Subsequently the whole token is sprayed with a satin varnish to seal it and give it a nice but not too obvious shine. More importantly the varnish will protect it during game play use. Note my custom research token on the right. This will replace the research token in the Anniversary edition. And about the naval and air bases. They won’t get the same photo paper treatment… something 3D, but not a full miniature. Think more like a layered token. Stay tuned and let me know your comments, thoughts and ideas to make our game even better. Excellent looking roundels. As always I like the fact that these are done yourself. Allowing for a total customization of everything. Keep it going! I look forward to seeing all your customizations! Thanks for the compliment Rank! Still awaiting my new printer, but I’ve managed to spray paint around 90 discs in the mean time. but what makes this different from the improved custom roundels already available from HBG? Without having seen the HBG roundels in real live, they definitely look very similar. Judging from the HBG images and some youtube footage their roundels have a very shiny finish that I personally don’t like. But the main reason form making my own is that it gives me some freedom to also make other roundels in the exact same style. Like tech markers and remaining movement markers for airplanes. Yeah! The new printer arrived and is delivering even more crisp printouts then my previous one. After printing the roundels on photo paper, I spray the paper with satin finish varnish. The next step is punching the roundels from the sheet. Nice work. Those look Great! A short update: I’ve been slowly but steadily working my way through the roundels and have about 15 of each nation at the time of writing. Thanks sired! However I didn’t get my discs on etsy. They were lasercut locally in the Netherlands. Nice! I ordered 500 awhile back, they were identical to HBG, but my .75 punch was not accurate… did you use a .75 or 11/16? How do you remove artwork on the OOB maps, while it looks like essentially another sea area but with some detail? As my paper cutter is .75 (19mm) I made the discs .76 (19.4mm). This works really nice as the paper artwork doesn’t stick out of the edge of the wooden discs. A bit off topic in this thread, but robert is right. I use the clone tool (in GIMP in my case) to copy bits and pieces from different original sea zones to match artwork and color as best as I can. I guess you’re Dutch as i am, I’m a beginning global 40 player and really like how you’re doing things. I also like to make stuff myself and like HBG stuff very much, but with the shipping and taxes it becomes really expensive. Can you give me some tips and tricks how you are doing stuff? Which shop to buy the wood etc.? Maybe you life close to me? I guess you’re Dutch as i am, I’m a beginning global 40 player and really like how you’re doing things. Yes I am! And thanks for the compliment. I also like to make stuff myself and like HBG stuff very much, but with the shipping and taxes it becomes really expensive. 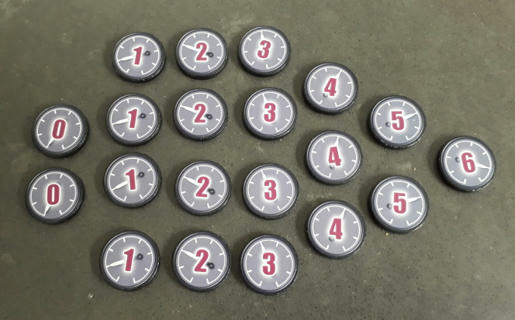 Update first post with a link to download the designs for these roundels including my custom design movement tokens and research tokens. Enjoy! I love the design of the movement markers. Can’t wait to play with the tokens as well. We played our first game with all the custom markers last weekend. They handle really well and look nice on the map! Those fuel roundels look great. I spent the weekend researching an acrylic version of the fuel markers. @Tjoek these are terrific! 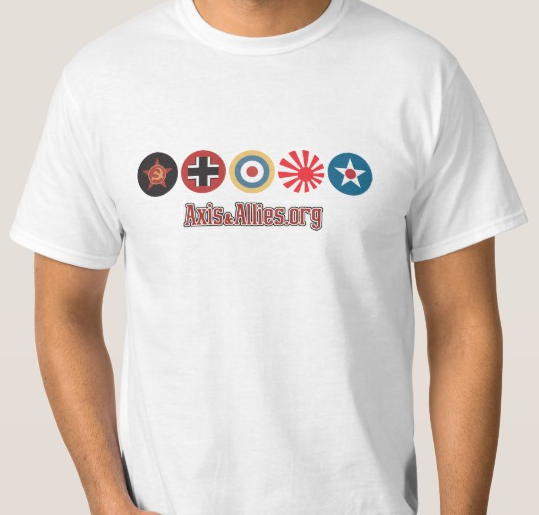 do you have an art resource for the naval bases, airbases, and minor ICs? @Tjoek Do you have a link to where you bought the discs? The sticker sheets? And finally a PDF to print out the stickers. @Imperious: You can’t teach this because the learning curve is high for Illustrator CS, You just have to do it and struggle and it may take 10 years to be really good. I do suggest NEVER USE PAINT SHOP PRO. Their is nothing “pro” about it. It will destroy your computer from day one. Also, to save a few hundred bucks, buy an educational version ( its the same) using a student ID, you can just join the school and not even register for classes, just to get the ID and buy the program in the student store–make sure they have it in stock first. You could register for a night class in basic Photoshop and Illustrator which would get you that student ID card and an introduction to the software. @Tall: **––They’re already great,…and on their way to being “PREMIUM” ----You know, I wonder if I my desire for ultimate detail on my units might not be partially to blame for everyones’ “detail addiction” of late. If so I’ll take my ‘bows’ for enfluencing you (in the smallest of ways) in your future endeavors, and I’m anxiously awaiting your future “Premium” works. Tall Paul** If you wish to believe that then good for you. Fact is a lot of us don’t have the money to pay for a professional painter let alone a team of them. Fact is, some of us don’t have a whole lot of time to devote to it, but we do learn as we go and so our products keep getting better. Yes the units you receive may be the best of what any of us could achieve, but like my earlier argument, comes down to time and learning. @robbie358: Hello all. I thought I would solicit your thoughts on which types of pieces in any version of A&A scream for painting the most. IMHO, the most confusing piece on the board in the original Pacific and Pacific 1940 is the USA fighter in China. Having to differentiate between a Chinese fighter that looks American and any USA fighters in that zone seems like a headache waiting to happen. Otherwise, I would say the pro-Axis and pro-Allies neutrals in Europe 1940 need attention. The fact is that upon being attacked, you’re supposed to pick any random country to donate an infantry to that territory. If the attacker doesn’t win, the infantry stay there but cannot be moved. Seems like confusion might set in eventually. Your thoughts? HBG has British infantry for sale. I bought 25 and painted them white to use for neutral armies.